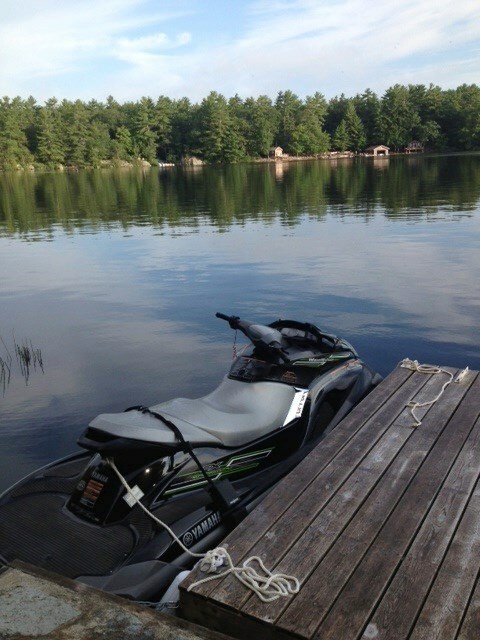 Call me crotchety and old fashioned, but Personal watercraft (PWC) have never appealed to me. I regard them as noisy toys that immature males use to impress young ladies. Upon entering my 30s I have never given them serious consideration. A decision my father recently made forced me to think differently about PWCs. Sitting together enjoying coffee on his back porch, he flippantly announced that both he and my mother were moving to a lakefront cottage and that they were purchasing two PWCs. The goal was to explore the Trent Severn waterway, the water system their new cottage was located on. My father was 70 years old when he announced their sudden lifestyle change, and envisioning my aging parents on PWC made me uneasy. It didn’t compute. I tried to talk him into something more practical, a pontoon or a runabout, but his desire to have something “sporty” was difficult to circumvent. My parents were not moving to a lakefront cottage to die, he explained, they were moving there to live. His wisdom prevailed and I conceded to his logic. 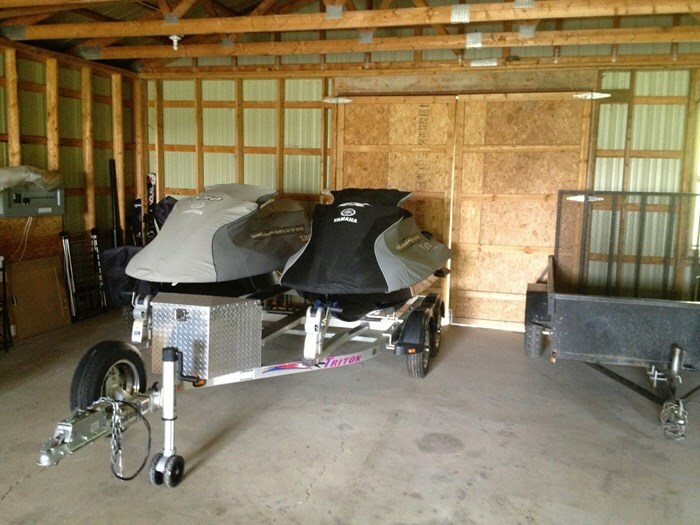 I am somewhat knowledgeable about powersports, and like a good son, wanted to help my father make the right choice. I did not want him to end up with a lemon or something inpractical. I dutifully began my internet research. My first stop? I wanted to know if others were using PWC's as transportation. Certainly there had to be something online about PWC as a cottage transportation device. That is when I stumbled across a man who refers to himself as the Intrepid Snowmobiler. 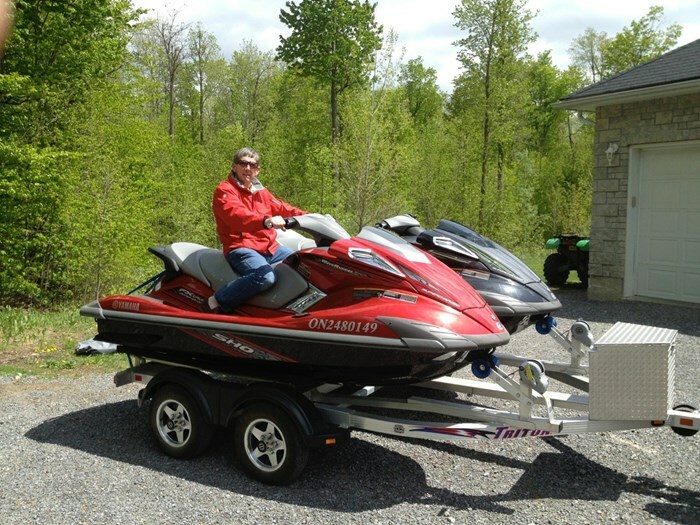 Craig Nicholson is a freelance journalist who prolifically blogs about his snowmobiling adventures. 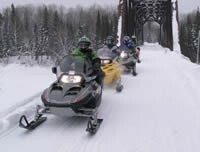 He has been blogging for years and has built up a valut of knowledge about snowmobile touring. 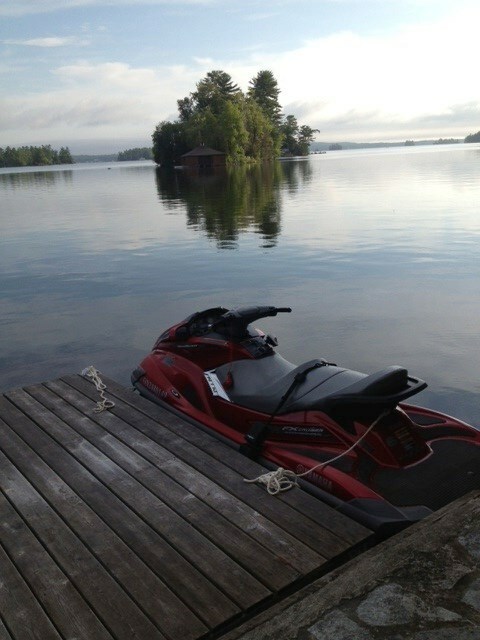 When the snow melted and he started spending time at the cottage, he did what came naturally; he started using a PWC like a snowmobile and started writing about his waterway adventures. In the summertime, he morphs into the Intrepid Cottager. Reading Mr. Nicholson’s blogs about PWC touring in Ontario not only sparked my own imagination, but created newfound respect for my father’s idea of PWC's as an vehicle for adventure and exploration. Whether my father knew it or not, he was thinking out of the box. The Intrepid Cottager’s prevailing PWC adventures reinforced my father’s ideas and won me over. With countless hours of internet research and a myriad of conversations with my dad, we eventually decided on Yamaha Waverunner products. 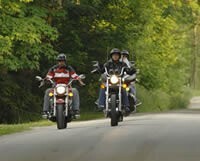 Without getting into agonizing detail, we each had trusted powersports friends who had many years of experience with Yamaha products. They all felt that Yamaha products would be both reliable and suitable for touring. 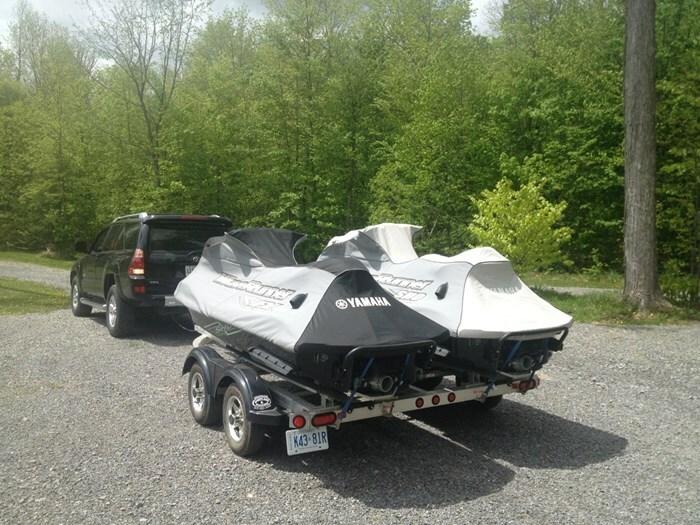 We searched numerous Ontario powersports dealerships and eventually a good deal surfaced on a pair of recently traded in Yamaha Waverunner FX SHOs’. They had low hours, were purchased new from that dealership and all of the maintenance was done there as well. They were the flagship model, not only in regards to performance but also in terms of comfort and amenities. 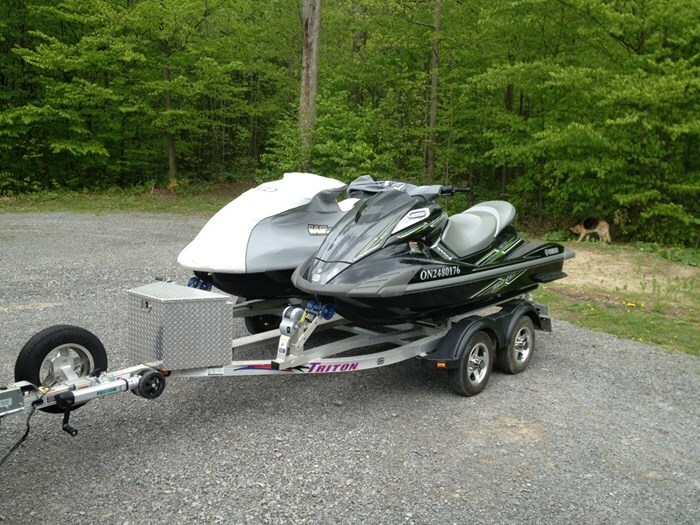 Money changed hands and suddenly, my father was the proud owner of two top of the line Yamaha Waverunners. 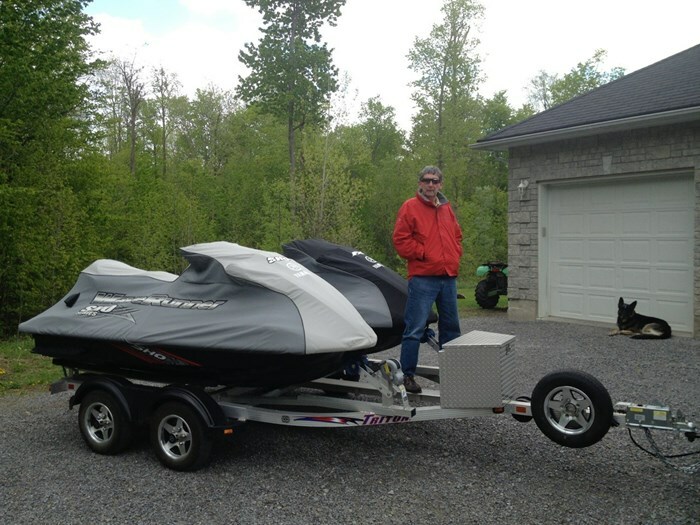 He is only settling in, but after some time to acclimatize, he is going to begin to explore the Trent Severn waterway; on a PWC, no less.